One of the most beloved Mass settings — now available in a fully bilingual format (English/Spanish). This is the keyboard/melody accompaniment book for Mass of Christ the Savior, a new Mass setting by Dan Schutte. Each time we celebrate the Mass, Christ is present as head of the Mystical Body—singing and praying with us, proclaiming the word, giving thanks, and finally, sharing the meal of his own body and blood with us. This very thought was Dan's driving force for composing Mass of Christ the Savior. 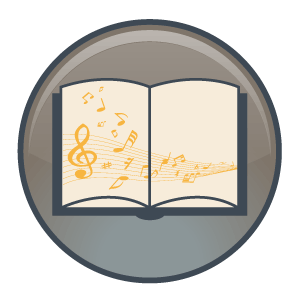 Common chord progressions and similar musical motifs create an interconnectedness that binds the various Mass parts together, making it easy to teach this accessible new setting to your assembly. Scored for SAB choir, the arrangement lends itself well to simple guitar or keyboard to full instrumentation with oboe, cello and two trumpets. Featuring beautiful melodies that will quickly become like old friends, this setting will help your parishioners embrace the new translation, thanks to a masterful wedding of music and text. Featuring beautiful melodies that will quickly become like old friends, Mass of Christ the Savior invites us to enter more deeply into the mystery of Christ each time we celebrate Mass. The arrangement lends itself to a single singer and guitar or SAB choir, organ and added instruments. Containing updated texts for the Lamb of God, the expanded edition of this widely used setting offers a masterful wedding of music and text to inspire your parish. "Living Streams," easily learned by the assembly for the Sprinkling Rite, builds with intensity each time it's sung. In addition to the original Glory to God with refrain, Dan includes a new through-composed option. The elegant Universal Prayer is an accessible way to sing the Prayers of the Faithful each Sunday or for special celebrations during the year. Eucharistic Prayer II gives presiders a melodic chant setting for the summit of the liturgy. In Sing to the Lord, the U.S. bishops' instructions to liturgical musicians state that "Dialogues and Acclamations" are given the highest priority in the sung part of the liturgy. From the Introductory Dialogue to the Final Blessing and Dismissal, this expanded edition provides settings for each dialogue, creating a more engaging interaction between the priest and congregation to encourage full, conscious and active participation. This is the guitar/melody accompaniment book for Mass of Christ the Savior, a new Mass setting by Dan Schutte. "I wanted this setting to be flexible enough to accommodate many worship settings... whether it be a small chapel or a spacious cathedral"
This is the MP3 playlist for Mass of Christ the Savior. 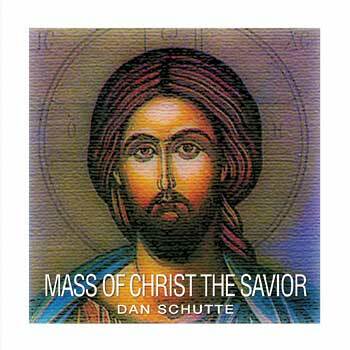 This is the keyboard/choral songbook for Mass of Christ the Savior, a new Mass setting by Dan Schutte. Versatile, complete and enduring, Mass of Christ the Savior invites us to enter more deeply into the mystery of Christ with each celebration of Mass. This expanded edition contains updated texts for the Lamb of God, while the Presider Edition includes all 21 parts for the priest in large-size font; including Eucharistic Prayer II with all the rubrics from the Roman Missal. Once again, Dan Schutte delivers a masterful merging of music and text that's sure to inspire your whole congregation. In addition to serving the needs of a traditional Mass, the expanded edition includes new features that make it easily adaptable to a variety of liturgical needs. With an intensity that builds every time it's sung, "Living Streams" is easily learned and invites your assembly to sing during the sprinkling rite. The elegant Universal Prayer is a beautiful way for parishioners to sing the Prayers of the Faithful, whether it's Ordinary Time or a special celebration. The common chord progressions and similar musical motifs create an interconnectedness that runs through the entire Mass and binds the various parts together, making it particularly easy to teach to your assembly. From the Introductory Dialogue to the Final Blessing and Dismissal, this expanded edition provides settings for each dialogue and creates a more engaging interaction between the priest and congregation to encourage full, conscious, active participation. Fully bilingual editions of Dan's beloved Mass of Christ the Savior are now available. The Spanish language has been masterfully set by Jaime Cortez to the original music in accordance with the upcoming changes to the Misal Romano. With these new bilingual editions, the mass can be sung entirely in English, Spanish or bilingual. It is an excellent choice for multicultural parishes.